Welcome - Baker Valley Floors, Inc.
"A Friendly Place to Shop"
For over 25 years we have been a family-owned and operated business. Our dedicated staff offers years of experience and knowledge not often found in the larger nationally-owned chain stores. We are committed to helping you make the right choices for your home, keeping in mind your personal lifestyle while staying within your budget, and to ensure your satisfaction for many years to come. 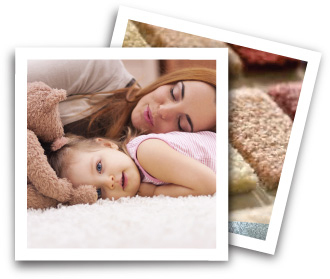 You’ll find we are much more than just another carpet store. Our collection of gifts and home décor offer endless possibilities for adding just the right touches to your home. Besides being active in our community, we proudly support the Ronald McDonald House Charities through our affiliation with BrandSource. Our website has been carefully and thoughtfully designed with you in mind to enhance your shopping experience with us. You can preview thousands of samples from well-known manufacturers found in our PRODUCTS section including helpful Buying Tips on how to select just the right floor covering for your personal needs. Stop by and see why we are A Friendly Place to Shop and let us help you create beautiful rooms in your home designed for the way you live today. Copyright ©2019 Baker Valley Floors, Inc.